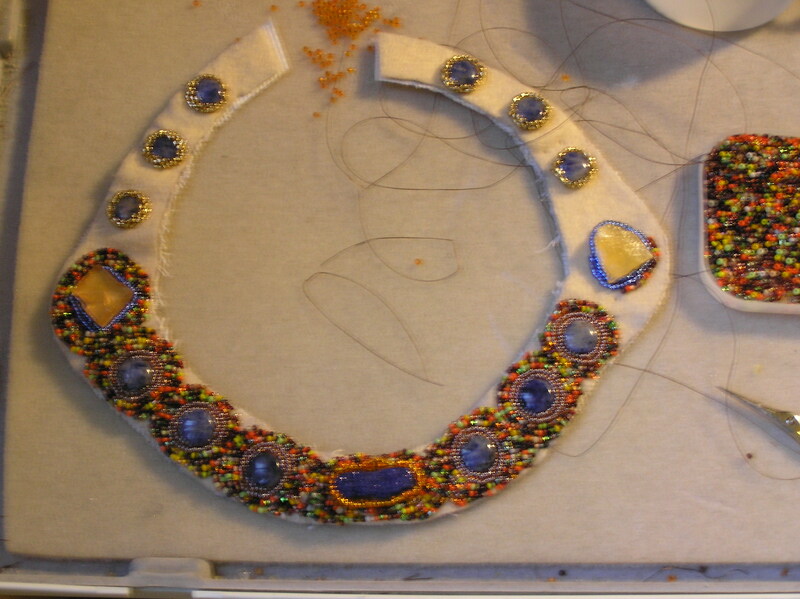 This is a neck piece I am working on. The blue center stone is Azurite, the two side stones are Orange Calcite. These are a few of the treasures I found at the SMART Centre Market, in Wheeling, W.VA.